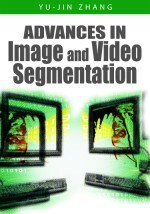 This chapter proposes a new evolutionary graph-based image segmentation method to improve quality results. Our approach is quite general and can be considered as a pixel- or region-based segmentation technique. What is more important is that they (pixels or regions) are not necessarily adjacent. We start from an image described by a simplified undirected weighted graph where nodes represent either pixels or regions (obtained after an oversegmentation process) and weighted edges measure the dissimilarity between pairs of pixels or regions. As a second phase, the resulting graph is successively partitioned into two subgraphs in a hierarchical fashion, corresponding to the two most significant components of the actual image, until a termination condition is met. This graph-partitioning task is solved as a variant of the min-cut problem (normalized cut) using a hierarchical social (HS) metaheuristic. As a consequence of this iterative graph bipartition stage, pixels or regions are initially merged into the two most coherent components, which are successively bipartitioned according to this graph-splitting scheme. We applied the proposed approach to brightness segmentation on different standard test images, with good visual and objective segmentation quality results.